Fight Night gets the blood pumping! 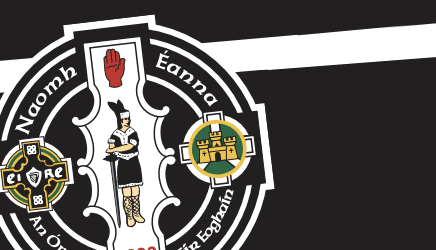 The St. Enda’s clubroms rocked to the chants of boxing supporters on Saturday night in what was a wonderful night of entertainment at the Black and White Fight Night, all in aid of fund-raising for Club Omagh development projects at Healy Park. 34 brave boxers, men and women, contested 17 extremely challenging bouts throughout a highly-charged evening and while there was plenty of sweat – and a good deal of blood – spilt on the evening, there definitely were no tears as all the contestants fought with valour and great sportsmanship. The Black and White Fight Night will be marked down as another highly successful club event and many thanks to all the boxers and the organising committee – particularly Martin Lynch – who helped to make this a spectacular event. See our Photo gallery or our Facebook site for photographs from each of the bouts.